There are a lot of reasons why I love the LDS Church but there’s one concept in particular that I love more than any other. This one concept that I’ve fallen in love with in Mormonism is foreign to all other Christian churches and religions. This concept is doctrinally denounced by the Christian leaders of the world. Pastors and priests don’t teach it at all. In fact they teach against it based on their traditions and understanding of the scriptures. But I learned by experience…that this concept, this doctrine, this truth, is burning bright in the hearts of those people who attend those churches. 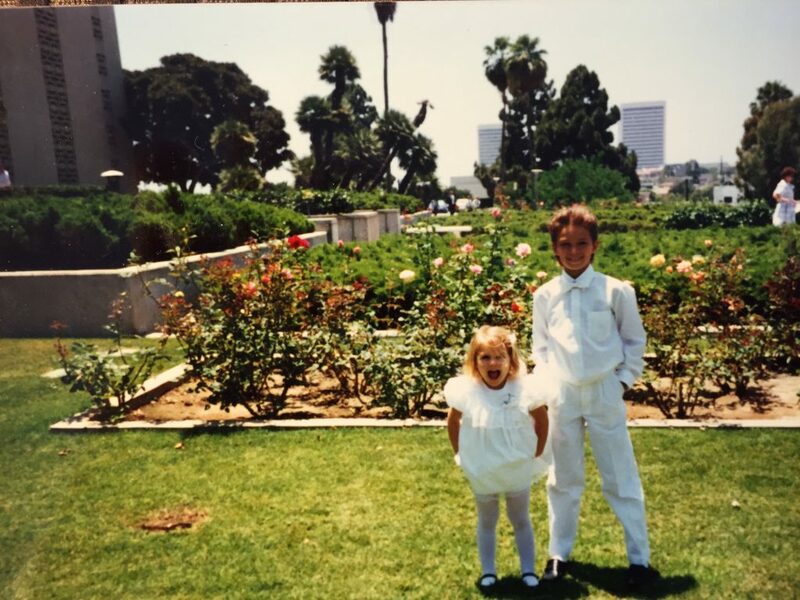 When I was about ten years old, I got dressed up in white clothes and went to an LDS temple. I had no idea what I was doing. We entered into this big beautiful building and walked through the halls. I don’t remember a lot of the details but I remember one thing as if it was yesterday. We entered a room where gigantic mirrors were setup on walls directly across from one another. We knelt on some cushions with an alter in the middle of us and a man in white made some promises to us. When we stood, the man asked me to look into the mirrors and asked me to describe what I was seeing. All these years later…I don’t remember how I answered him but I do remember what I saw and what I felt. I saw my family…together…extending for what looked like an eternity in those mirrors. That day…I was “sealed” to my parents and my sister with the promise that I could be with them, know them, and love them forever. These people I had been through so much with, and became so close to, weren’t going to become angelic strangers when we died. We weren’t destined to lose our identities and associations in this life. In fact, these relationships were destined to grow stronger. This doctrine was sweet to me…even at such a young age. Even before I knew it was a doctrine. It was a spiritual knowledge that I knew in my heart was true without yet understanding it intellectually. 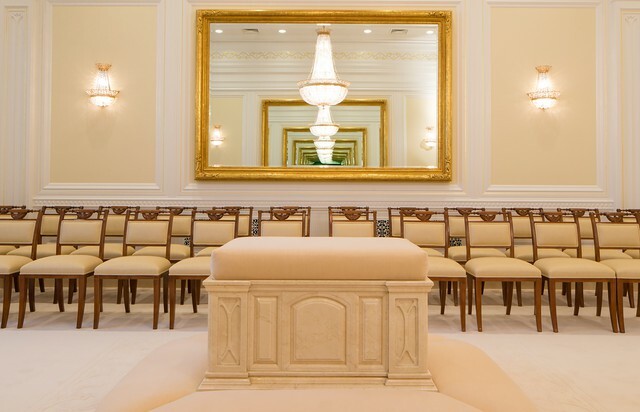 I never realized that this doctrine was unique to Mormonism. I never realized that pastors and priests from other denominations would preach from their pulpits telling their members that there would be no marriage, no families, and no identity in the next life. I never realized that many religions banished little children or ignorant grandparents to eternal hell because of the time period in which they lived. For me…immediate, extended, and adopted families were the very fabric of our existence both in heaven and on earth. So it was hard to believe that Christianity as a whole was rejecting the idea and hope of a perpetual family. It wasn’t until I started personally knocking on doors in the bitter Michigan cold when I realized that most people don’t believe what their pastors are telling them about the family. 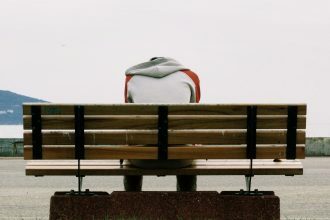 Over and over again, I would knock on a door, my jaw almost frozen shut…and in the off chance someone opened the door, I’d ask them for the opportunity to share a message with them about families. Time and time again, people of different denominations would tell me they “already believed in their hearts” that they would be with and know their families in the eternities. Regardless of what their pastor taught regarding the cessation of marriage and family in heaven…for them…they couldn’t envision a place being heaven without their families. It was a concept that burned within their hearts. Even thought they still attended their church, and still revered their pastor, they were unwilling to surrender the burning within them that told them they have a family in heaven. I think people would fall in love with the LDS Church if they realized just how similar it’s teachings are to what they already believe in their hearts. The end game of the entire Church is sealing families. It was never about Joseph Smith or the Book of Mormon or the appearance of Peter, James, and John on the banks of the Susquehanna. Yes…those are super important historical details that undergird the restoration of the gospel, but all of that, was always and will always be about families being together on earth and in heaven through the binding power of the atonement of Jesus Christ. All of the other important people, places, and pieces of the restoration existed to do just one thing. Preserve, protect, bind, and seal the family together…forever.